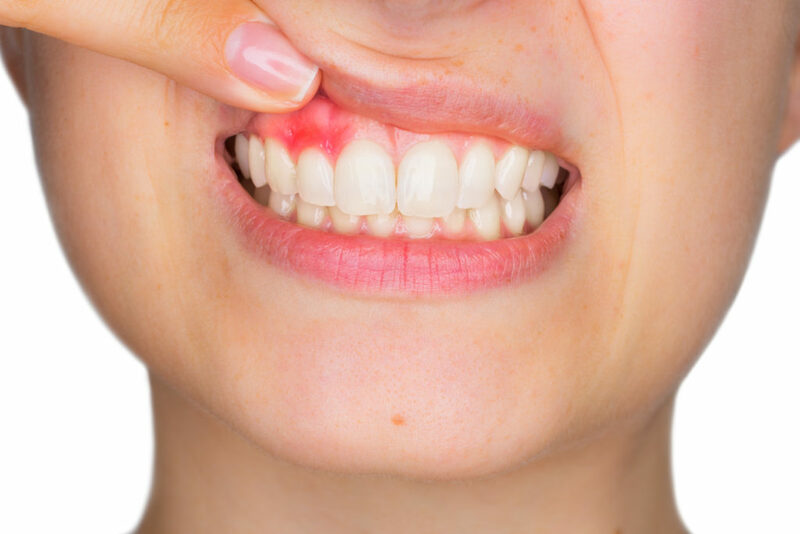 Although gum disease is an issue that needs to be professionally treated and diagnosed by your primary dental care provider, there are warning signs that can let you know it’s time to schedule an appointment to check on your gums. Almost 50% of adults in the U.S. are affected by gum disease and most do not even realize it! If you take note of the symptoms listed out below, we can help provide you with the proper care for your gum disease early on and prevent serious damage to your oral health down the line. There are several symptoms that often show up as early warning signs of gum disease. If any of these symptoms seem familiar to you – make sure to call our front desk right away to schedule an appointment at Gaston Dental Associates. We will be able to accurately diagnose the stage of your gums and determine an individualized treatment plan to get your oral health back on the right track. Gum disease arises as a result of poor oral hygiene. If it is caught in the early stages, gum disease is classified as gingivitis, which is milder and easier to treat quickly. Gingivitis is inflammation caused by plaque and tarter buildup around the bottom of your teeth that may cause some discomfort. If you maintain good oral hygiene at home by sticking to a regular cleaning schedule, you are much less likely to be affected by any kind of oral disease. Flossing and brushing your teeth twice a day will help to regularly remove bacteria and plaque build up. Of course it is also important to schedule routine cleanings with us at lease twice yearly, as well, to have a professional check on your teeth and gums. If we do diagnose you with gum disease, we offer several in-office solutions and treatment plans. Deep cleanings will remove all of the buildup around your gums and smooth the roots of your tooth so that buildup is less likely to return. There are also special toothpastes and mouth washes we can recommend to help you treat your gum disease at home! Call us today to schedule your next visit!